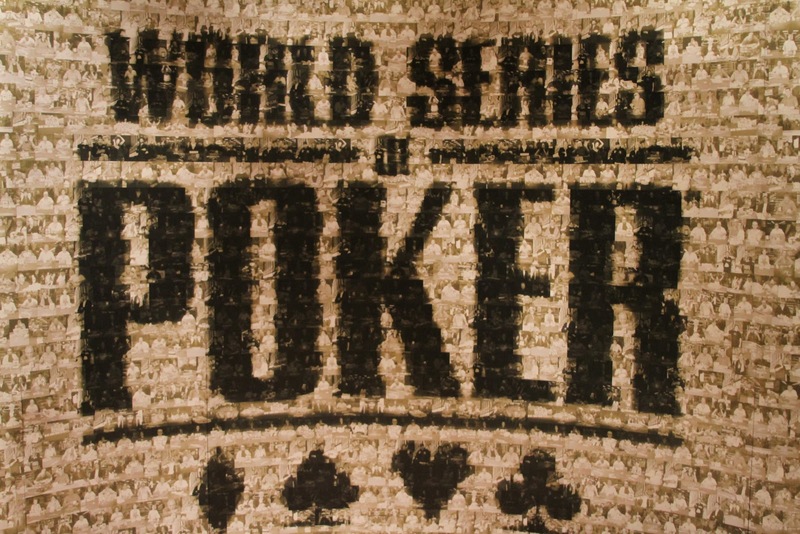 We are now 24 hours away from the start of Event #1. 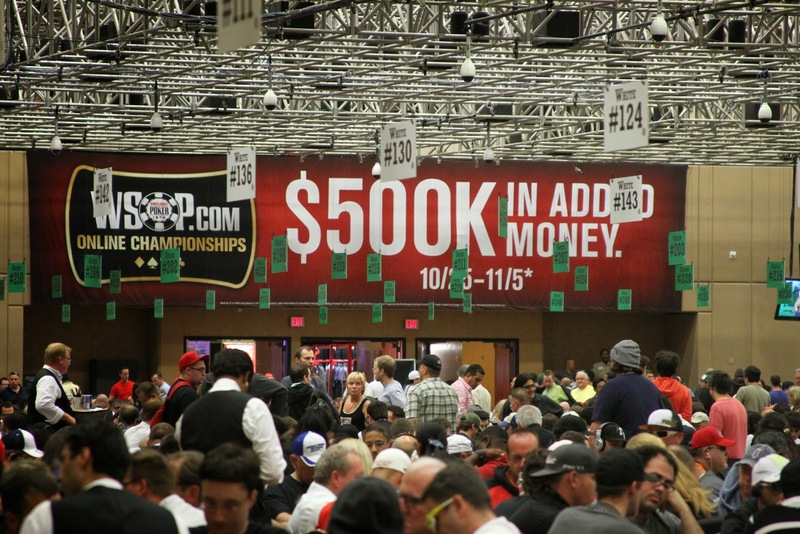 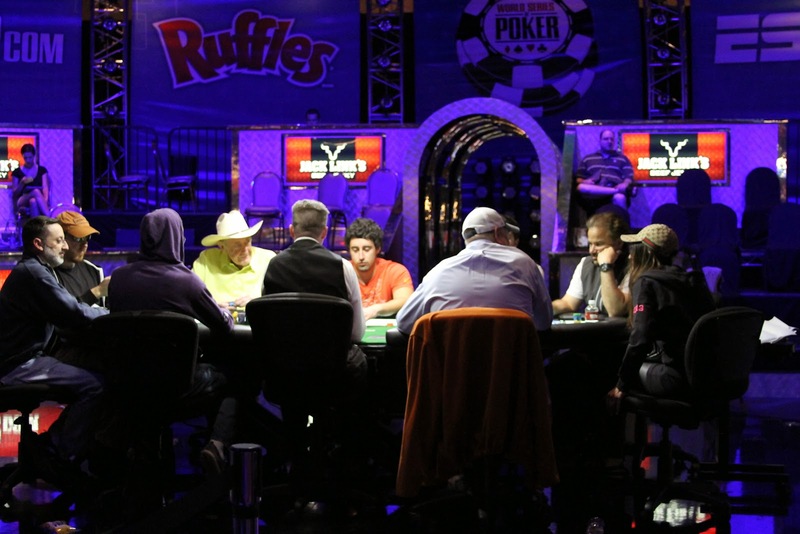 The first event of the Players Championship has a buy- in of $175, with a $20,000 guarantee. 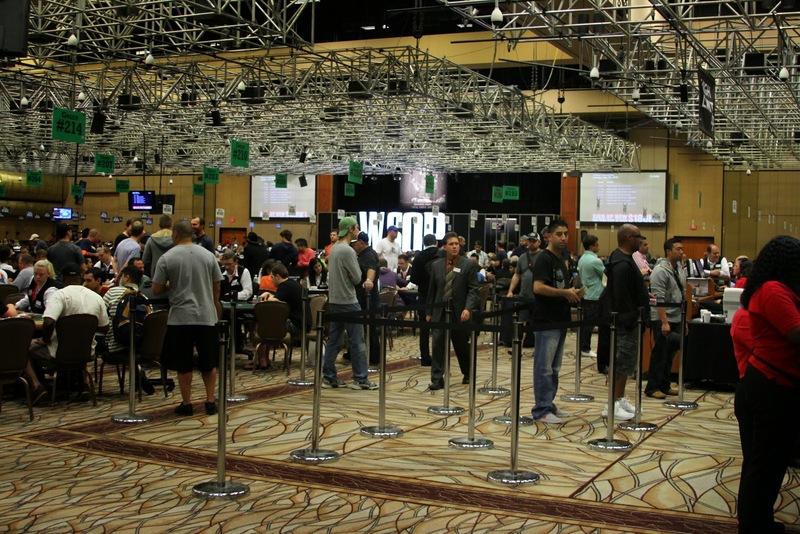 Events structures are available on our website. 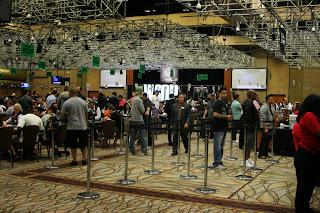 Registration opened at 1pm this afternoon. 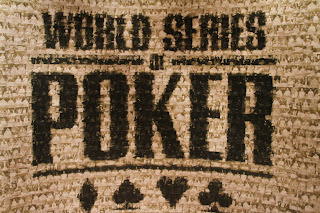 There is still time to satellite your way into Event #2 $150,000 Guaranteed NLHE or $250,000 NLHE Guaranteed Main Event. Last nights satellite drew 150 entrants for 15 seats into our Main Event. 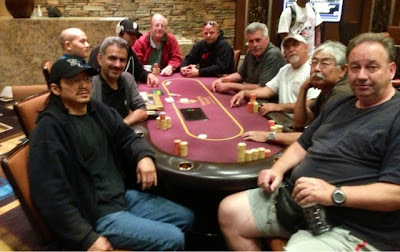 Satellites will run Monday, Tuesday, Wednesday, and Thursday at 1:00PM and 7:00PM. 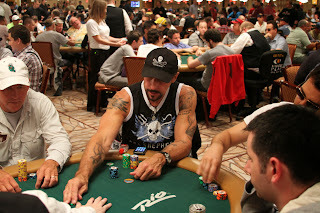 The satellite has a buy-in of $120. 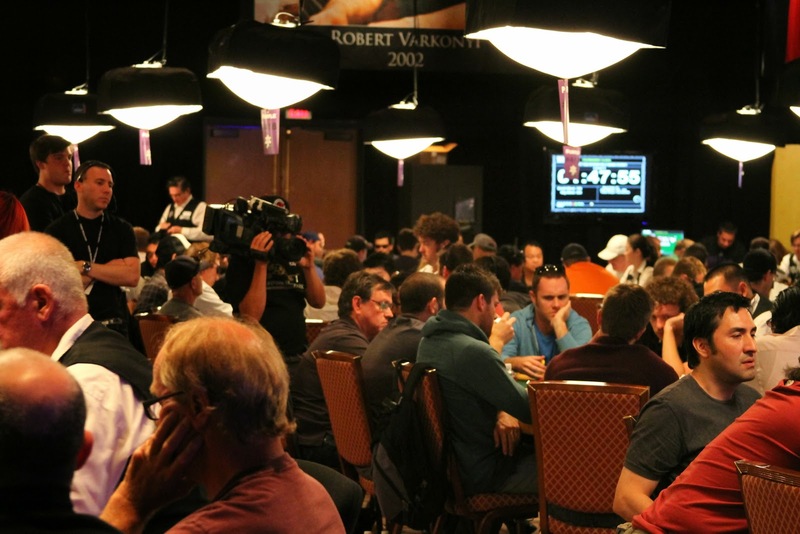 Every 10 entries generates one $1,100 Players Championship entry. 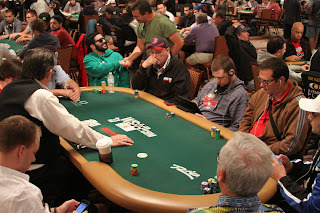 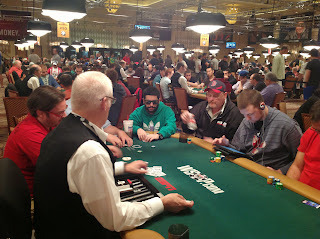 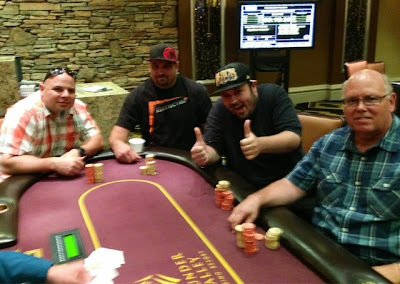 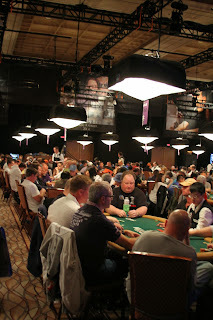 Final 9 players decide to chop. 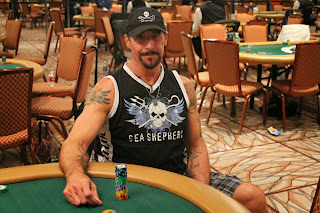 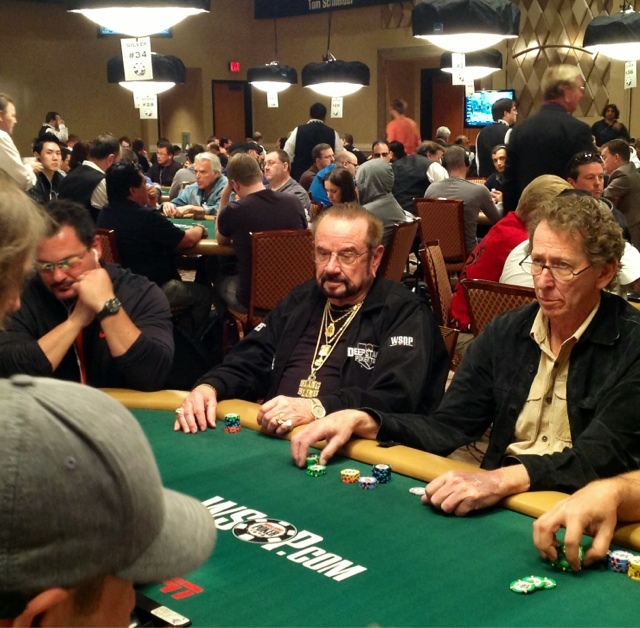 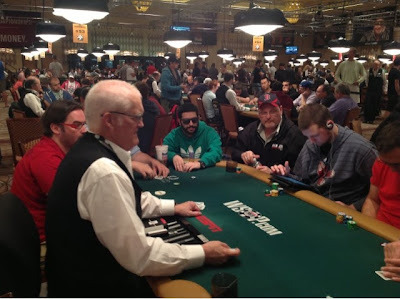 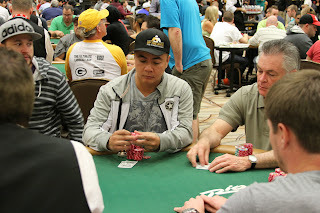 John is currently playing in Day 3 of the WSOP Main Event. 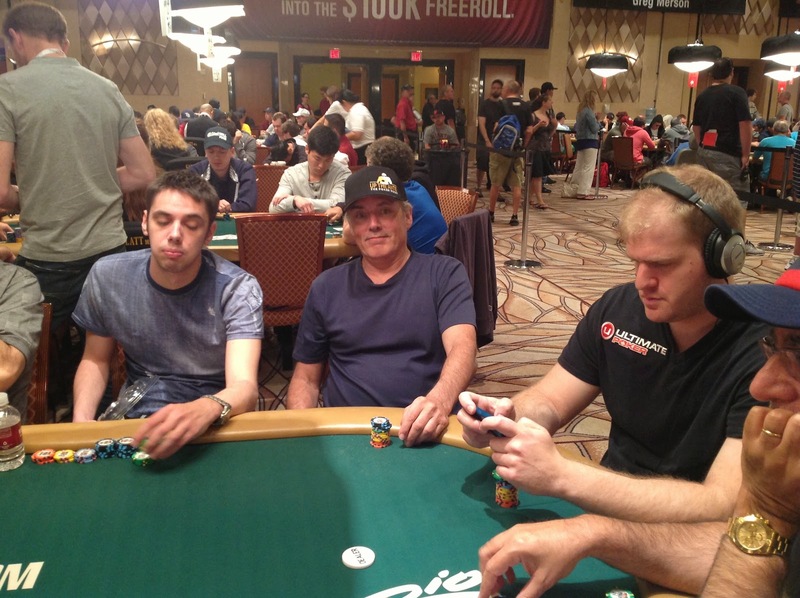 He currently has just over $32,000 in chips and we wish him the best. Check back for updates. Ben wishes him the best as the second break comes to an end during Day 2 play. 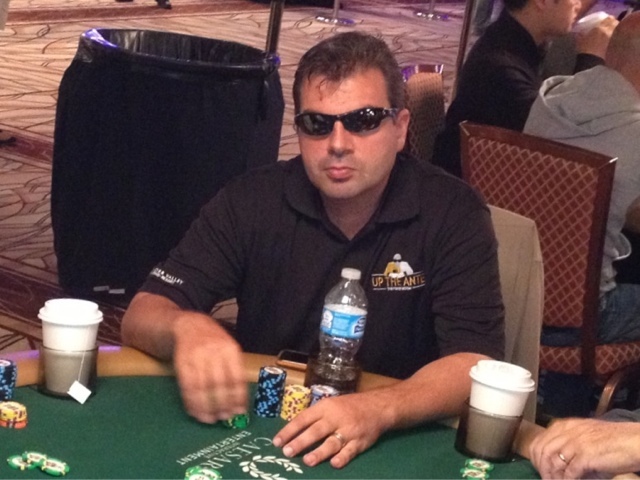 Currently Cornel has just over $47,000 in chips. 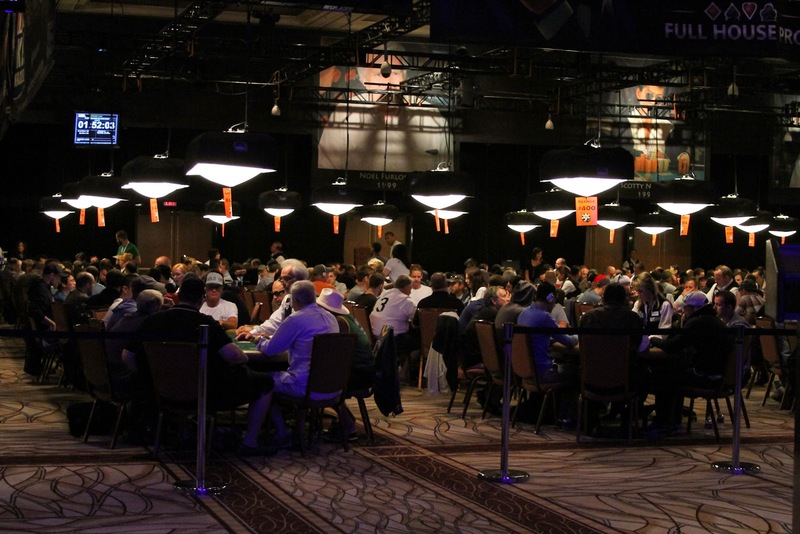 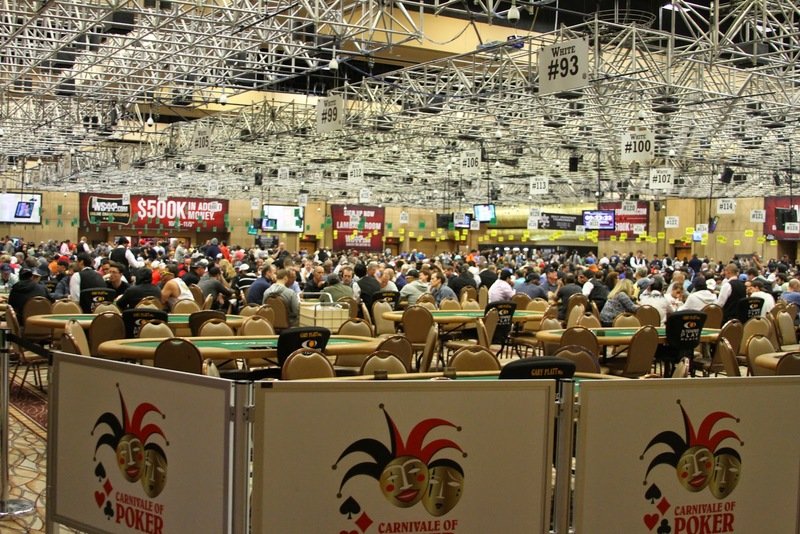 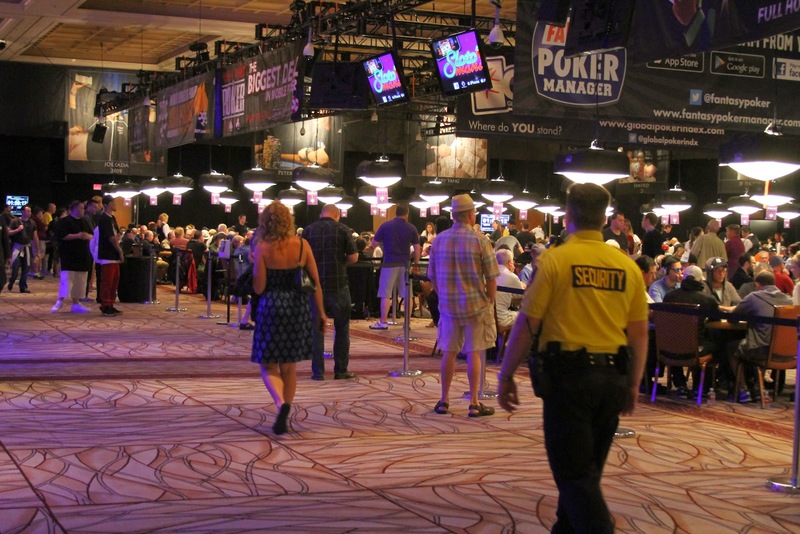 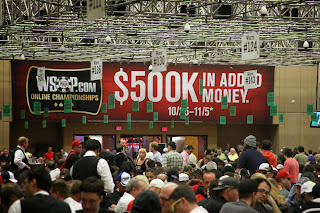 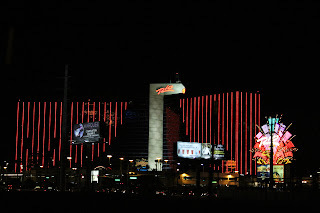 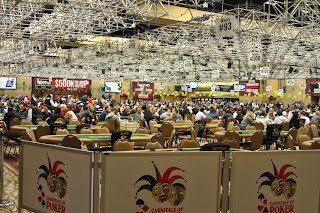 The final Main Event Day 1 finished strong with over 3,000 entries. We had two players in the field today Tom Fox and Sasha Sabbaghian. 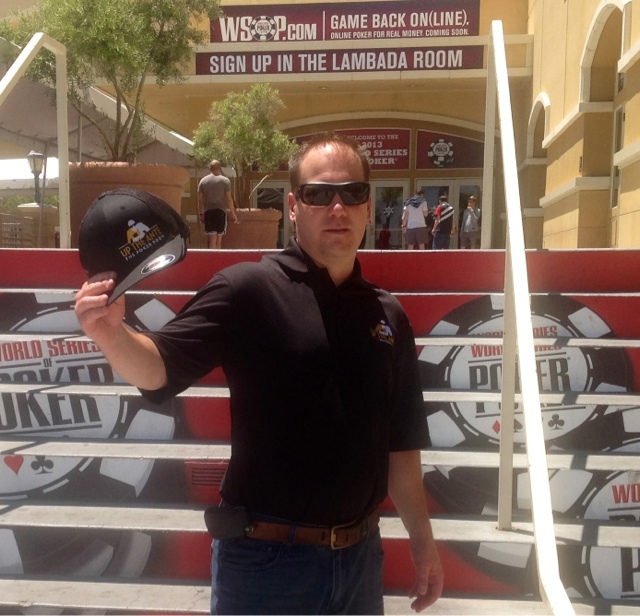 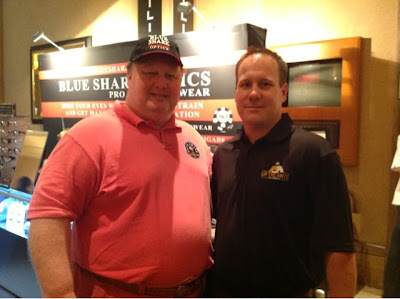 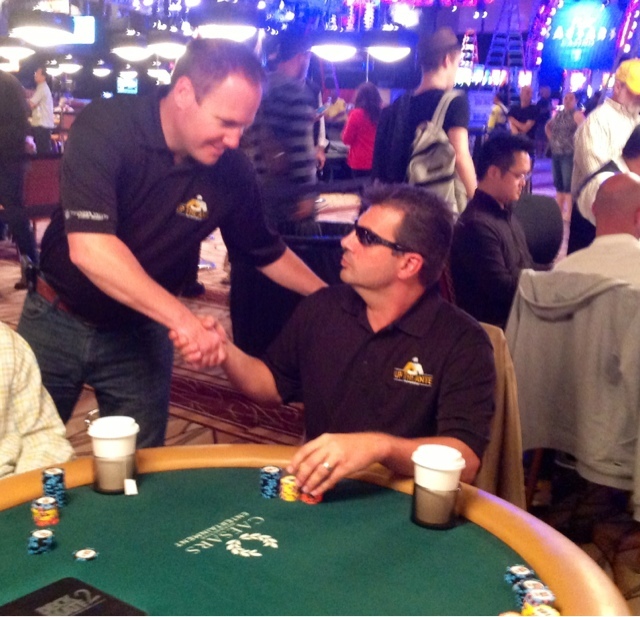 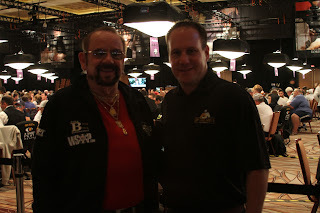 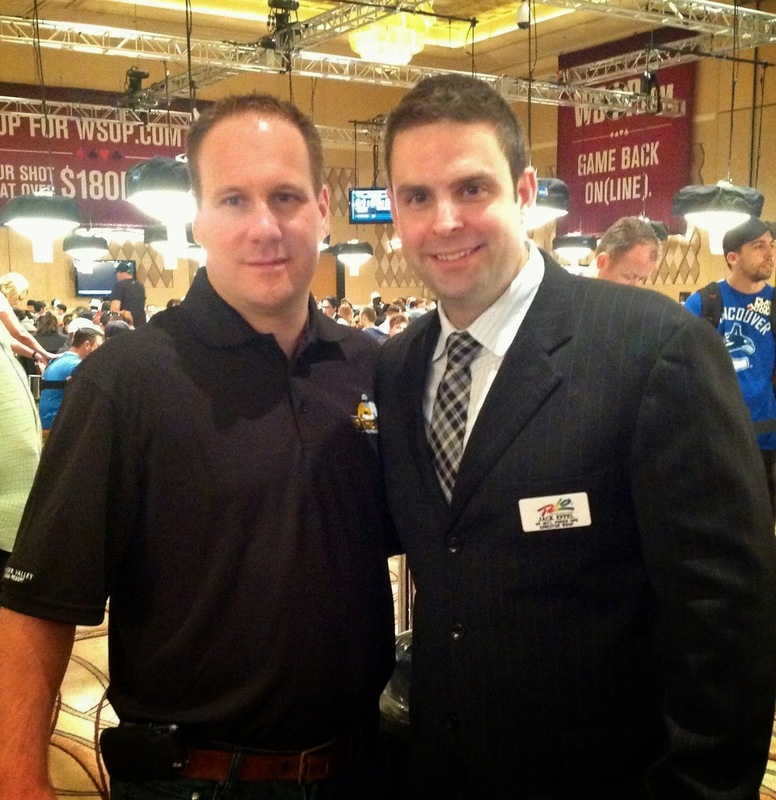 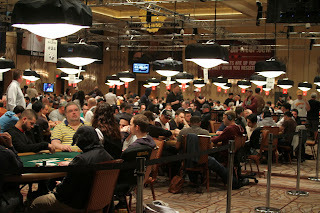 During the day we saw several professional poker players, including Greg Raymer. 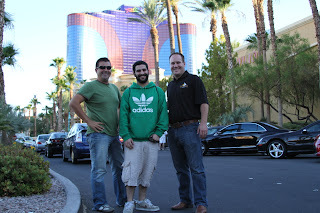 We also came across the man himself, Jack Effel, Director of the WSOP and chatted with him. A big highlight of the day was when we saw and caught up with several of our players from The Poker Room including John Bettencourt, Nader Isahac and Saroth Hong. Towards the end of the night we met with Cornel Andrew Cinpan whom he checked in with our players to prepare them for Day 2 of the Main Event. 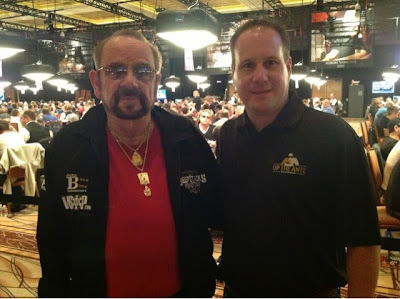 An Up The Ante Jacket Found! 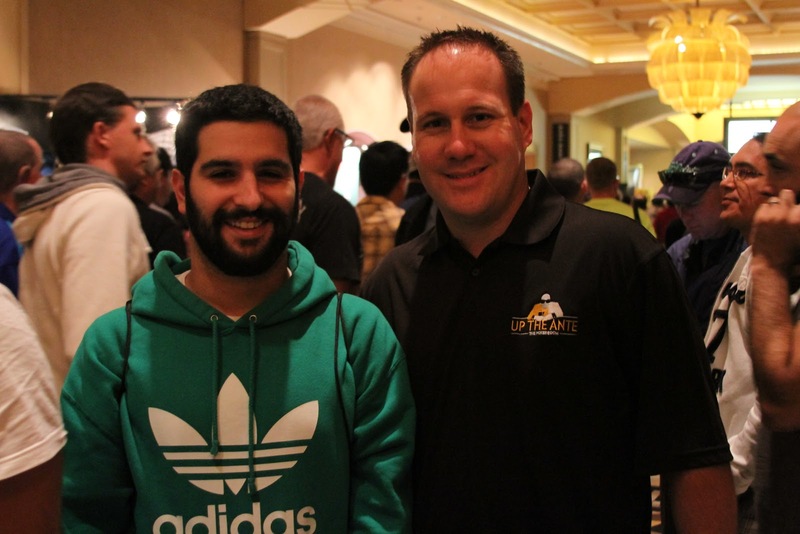 You never know when you'll run into an Up The Ante jacket... Tonight we ran into another regular from The Poker Room, Nader Isahac. Sasha is at $60,000 in chips with two hours remaining in his Day 1 play. 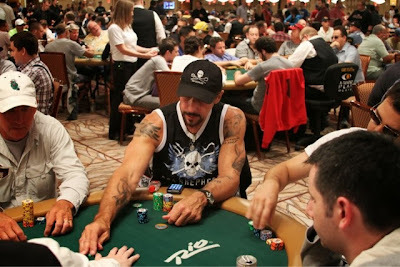 Throughout the afternoon Sasha has been one of the strongest players at his table and has dictated play throughout the session. 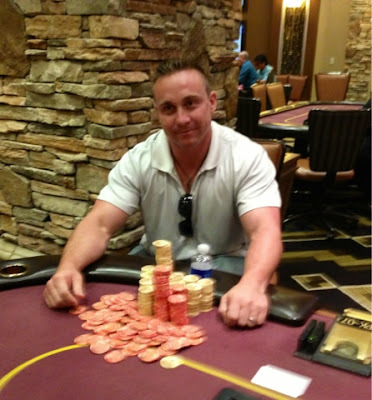 Ben caught up with John Bettencourt, a frequent player at The Poker Room at Thunder Valley. 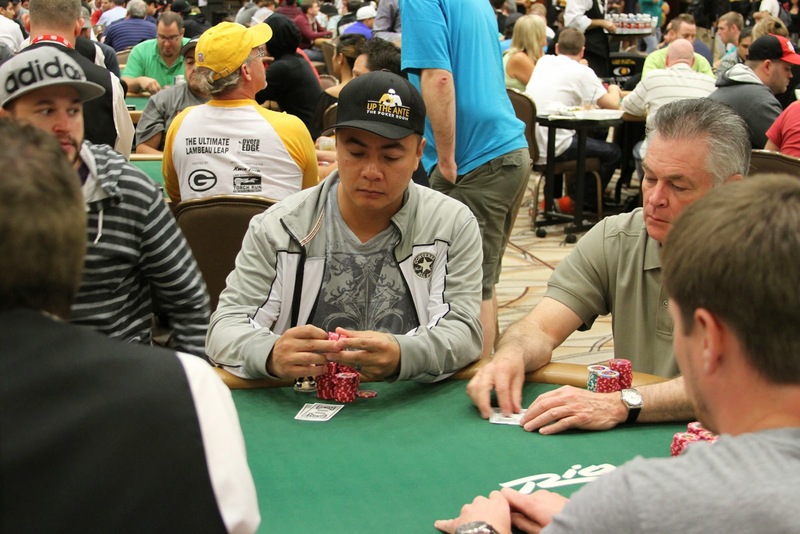 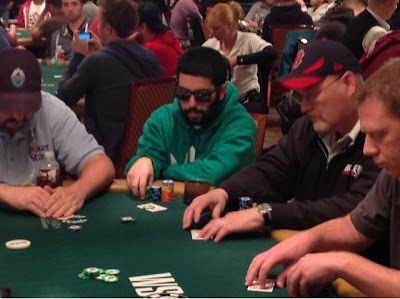 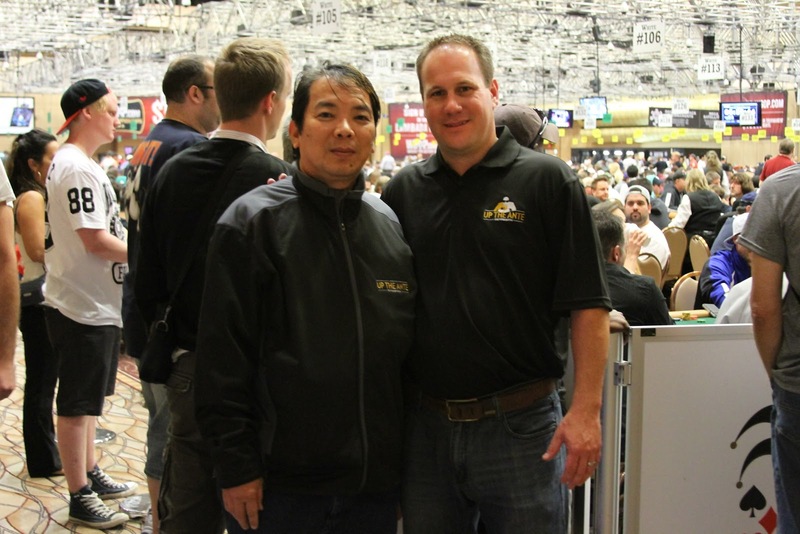 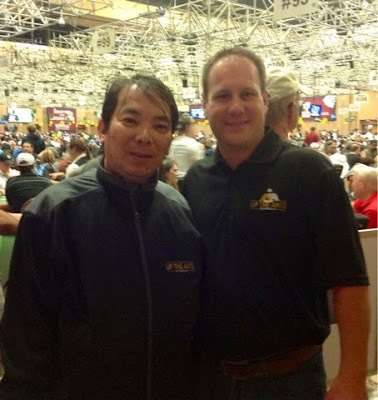 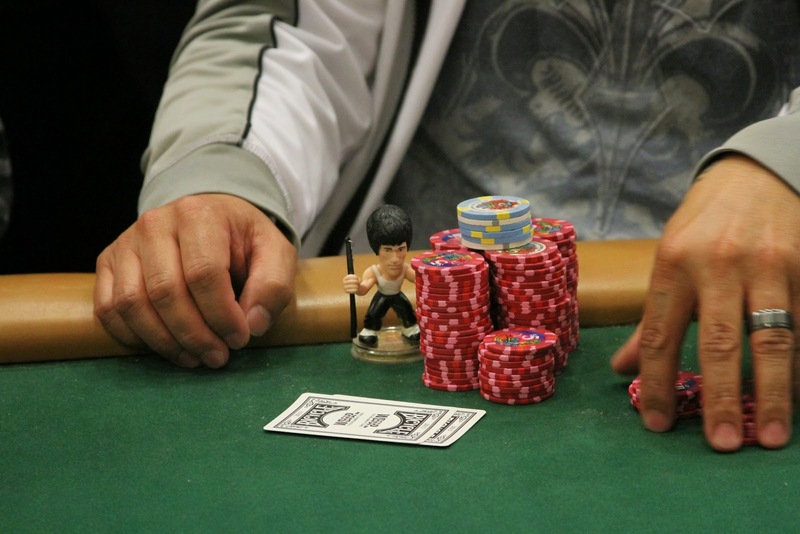 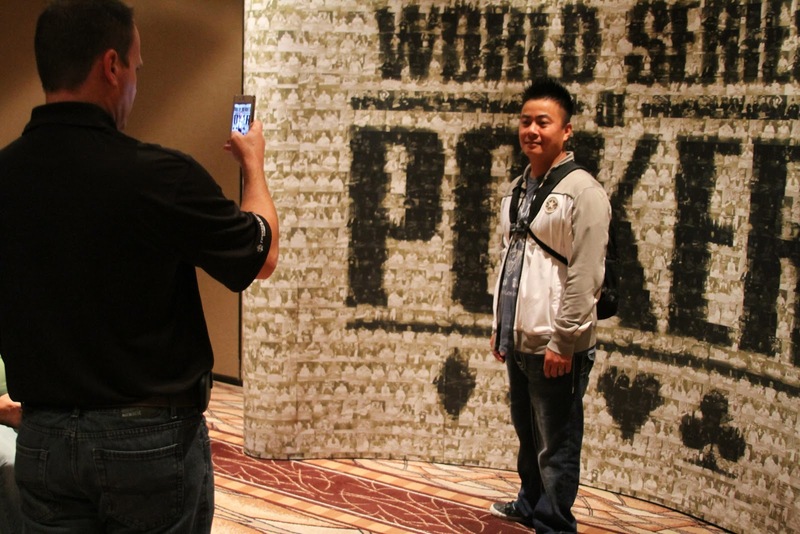 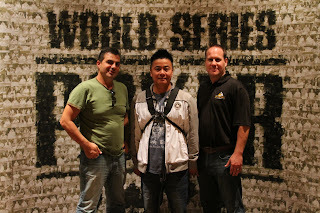 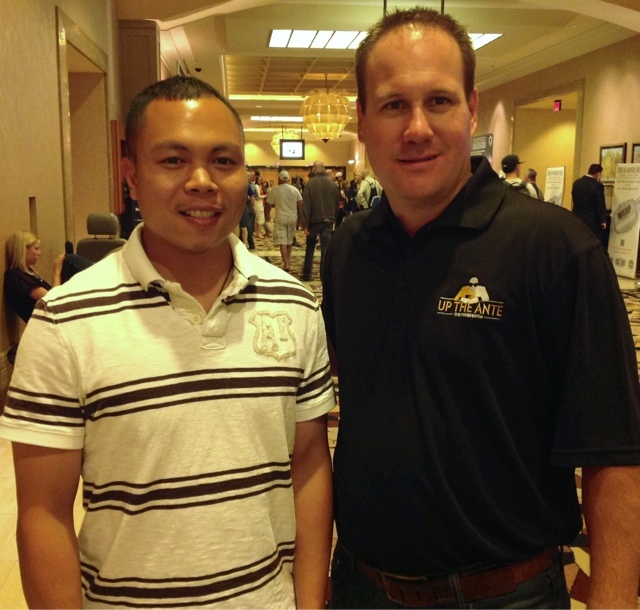 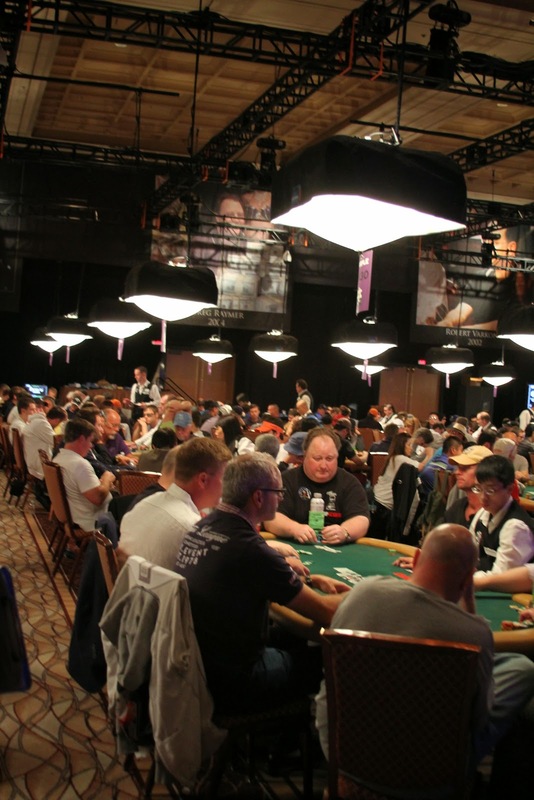 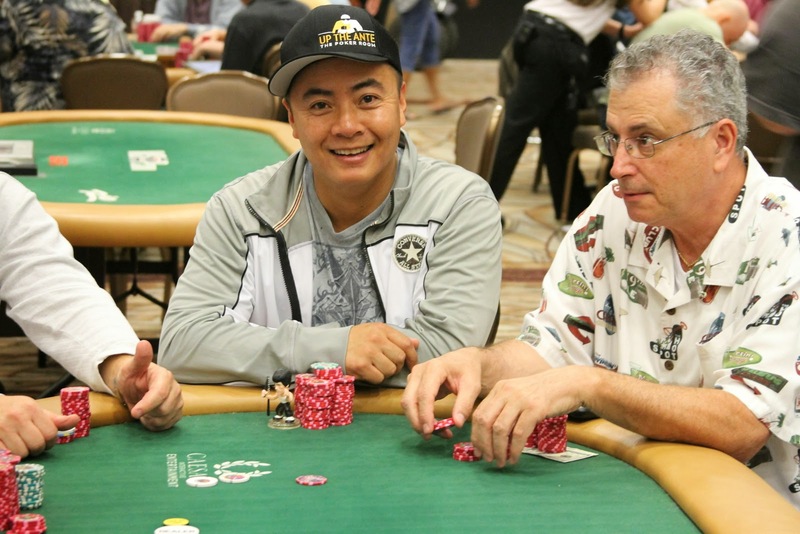 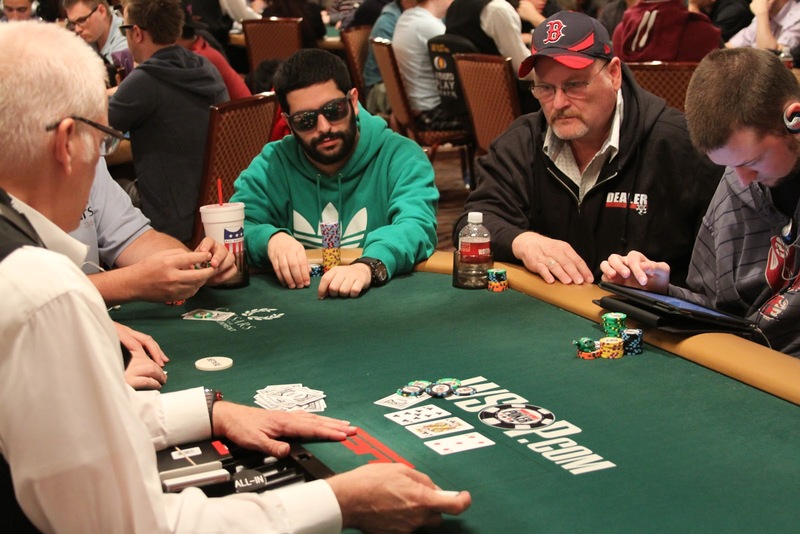 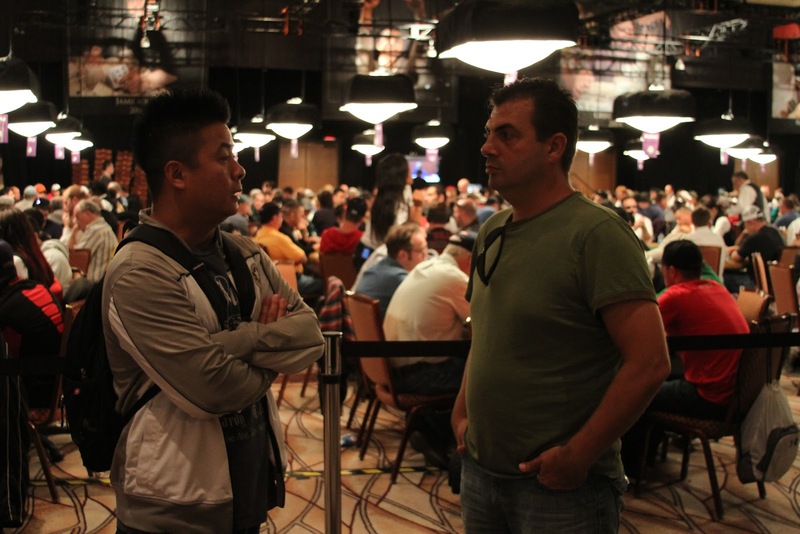 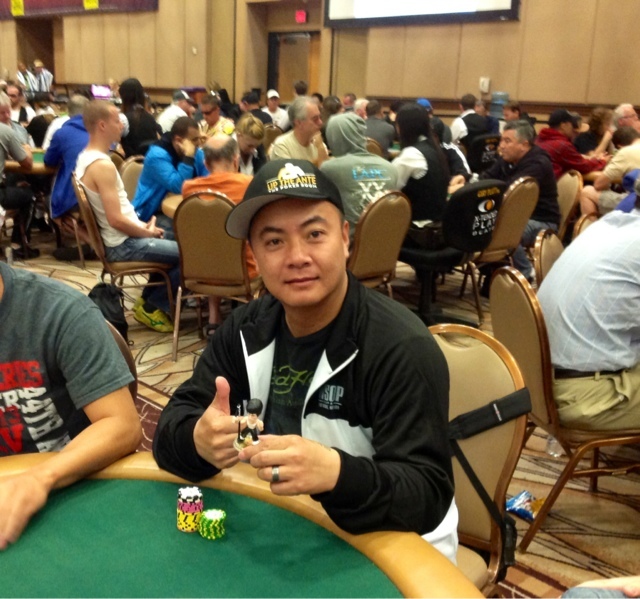 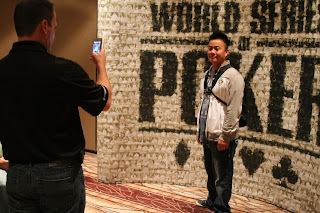 Ben ran into Saroth Hong at the WSOP Main Event, a poker player from the Sacramento area. Saroth is playing in his first WSOP Main Event. 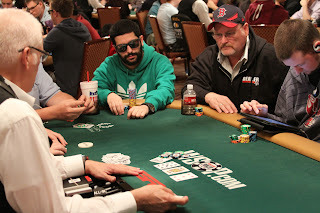 We'll be looking for Tom Fox and Sasha Sabbaghian who are scheduled to play today. 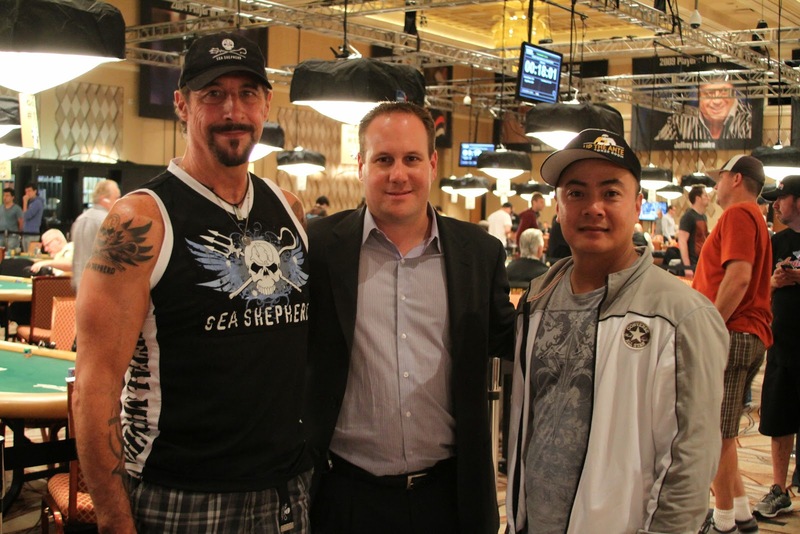 Ben caught up with Mark Talesfore and Vinny Chu at the end of their Day 1 play. Mark has $50,000 in chips and Vinny has $86,000 in chips going into Day 2. 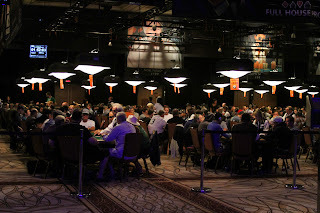 Look for updates tomorrow as they work towards getting to Day 3.